Renewable energy sources, including wind turbines and solar panels, provide nearly one-fifth of the nation's power, and some experts contend that by midcentury the United States could generate all its electricity without burning polluting fossil fuels. Already, California aims to largely eliminate fossil fuels as an electricity source by 2045, and Hawaii wants to use renewables for all its electricity needs on the same timetable. Supporters say broad adoption of renewable energy — not only in the United States but also globally — is imperative to stave off the worst effects of climate change. 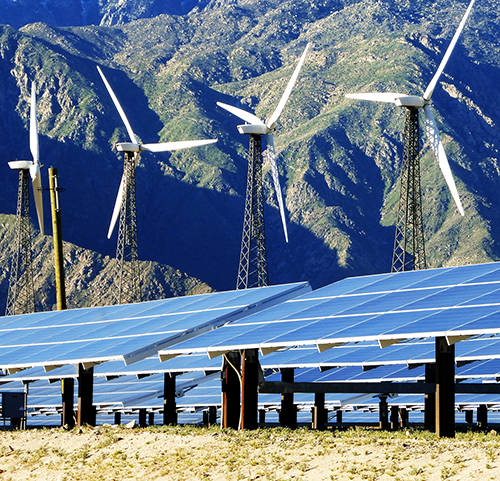 But a transformational shift toward renewables faces big hurdles. Technological advances are required for the electrical grid to handle the uneven flow of power from wind and sunlight, and the country still lacks a national policy embracing renewables. Liberal Democrats are pushing for a Green New Deal that would mandate a shift away from fossil fuels, but they face stiff opposition from conservatives and some moderate Democrats.